The Italian Embassy in Lebanon organized a press visit on Tuesday for journalists aboard the Italian Mediterranea sailing boat, which is currently docked in Zeytouna Bay, Beirut. The Italian boat reached Lebanon last Tuesday on a cultural expedition and will leave on Sunday. "We reached Lebanon arriving from Italy after traveling through seven countries. We left our country three years ago with Greece being our first destination, reaching the Aegean Sea, Marmara Sea, and the Turkish capital of Istanbul. We also sailed through the black sea reaching Georgia, Bulgaria, Romania, and then headed again to Greece reaching Rhodes, Cyprus, and finally Lebanon," Captain Simoni Birotte told the National News Agency. He made clear that the expedition's main purpose was to get a closer look at the Mediterranean culture. "Many in Italy and around the world are those who discuss Mediterranean countries, but no one actually knows about these countries and their cultures. I truly believe that information is only gained through real hands-on experience and live observation. Our expedition aims to explore these countries' many features like their culture, tourism, heritage, people, civilization, music, and even dishes," Birotte said. The Italian sea captain expressed keenness on unearthing the roots of Italy's neighboring countries in an attempt to bolster interaction and communication, as well as to help resolve issues of mutual concern in the region. "We have met with 'The Layla Project' -- a band which has excelled with its distinguished style in tackling political, religious, and sexual issues, not to mention the challenges that the Arab youth faces nowadays. Yesterday we met with a number of Armenian musicians, and today we will meet with Joumana Hadad, a journalists and writer who wrote in the Italian language," Birotte added. Moreover, he deemed the best means to learn more about a culture was by getting to know more about its culture. 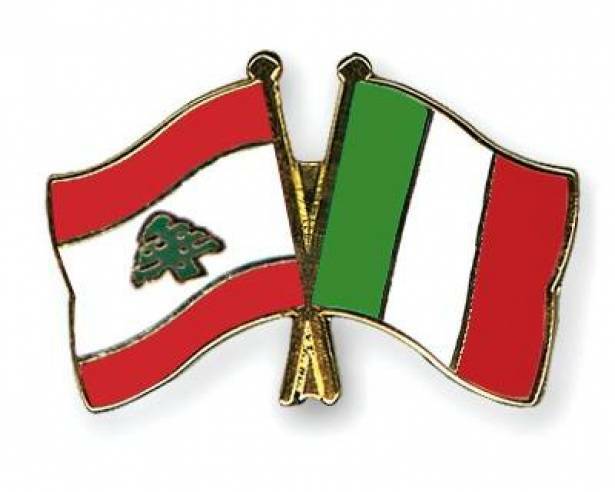 He also thanked the Italian Embassy for helping his crew around Lebanon. "We haven't paid any official visits to ministries, but we kicked off our Lebanon visit in Tripoli, and then we visited Byblos, and then Beirut. We will wind up our visit by touring the Lebanese National Museum and Sorsok museum. We will also head south to visit Sidon and Tyre. When we depart from Lebanon, we will head to Greece, Cyprus, and then to Tunisia and Morocco through the Aegean Sea. We will also visit Portugal, Spain, France, and Sardinia," Birotte explained. As for the problems that his ship crew has faced in its journey so far, the Italian captain said that Turkey, Lebanon, and Italy gave them a hard time with some bureaucratic procedures, as well as with stringent passport measures. "We were hoping to roam our Middle Eastern home void of any restrictions and conditions. We hope we will be able to do this in the future," Birotte concluded.